Members of the McHenry County Historical Society visited one of four archival storage sites maintained by the Chicago & North Western Historical Society. Linen maps are rolled and stored by district. 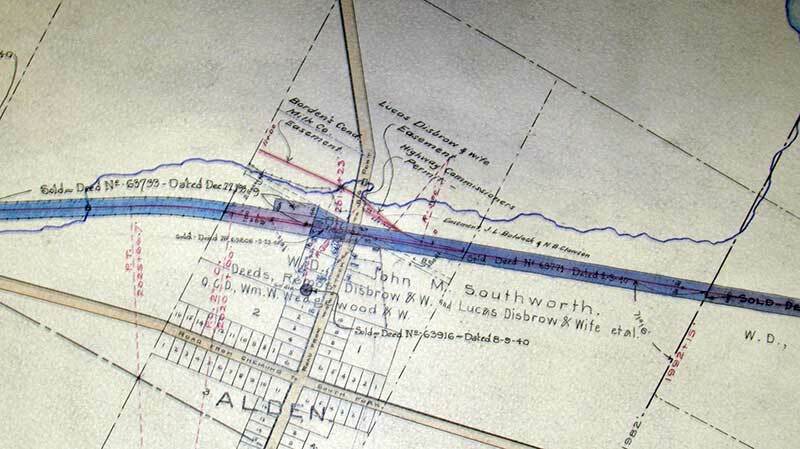 A linen map of the Kenosha & Rockford Railroad line through Alden. 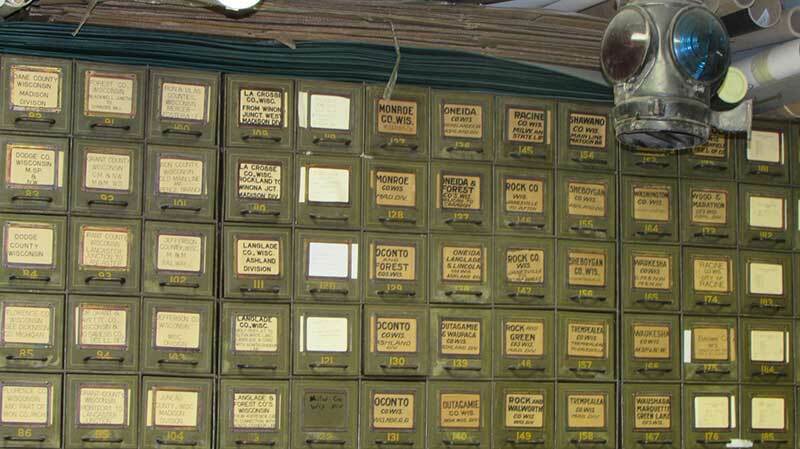 Map drawers containing turn of the century maps for the Chicago & North Western Railroad and lines it acquired.